There’s no more dramatic way to change the appearance of your home’s exterior than the addition of siding. Whether you choose low-maintenance vinyl siding, hardy plank, wood siding, cedar siding, or any other option, your home will be transformed immediately, providing not just improved curb appeal, but lowering your energy bills as well. An investment in new home siding is one that will pay off for years to come. Dominion Roofing Co. knows the difference new home siding makes to you and your family. That’s why we take the job of installing your siding very seriously. For over 25 years, Dominion has been serving homeowners in Maryland. Specializing in home exteriors, Dominion’s professional technicians, contractors, and installation team come to the job equipped with know-how and experience. You can trust Dominion Roofing Co. to install your new siding to your complete satisfaction. Siding technology is continually moving forward. Improvements in environmental impact, energy savings, and regular maintenance, mean you, the homeowner, benefit in many ways. The durability of today’s siding ensures your home’s exterior will look great for many years to come. Though there are several types of siding available today, vinyl siding remains the most popular. Highly affordable and stylishly transforming, vinyl makes a difference in your home’s appearance and raises the bar on interior comfort, because of its insulating properties. Traditional vinyl siding is anything but old-fashioned. 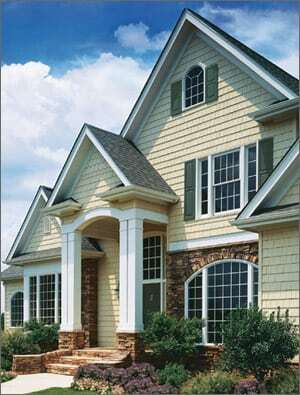 Today’s vinyl siding styles and colors will complement any home. 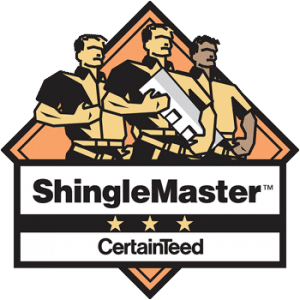 The high-quality materials used in modern vinyl siding provide serious insulation, which you’ll notice immediately, both in your home’s comfort and your next utility bill. Vinyl siding is more affordable than ever before, requires no painting, and no maintenance beyond the occasional spraying with your garden hose. Winters can be very cold in Maryland, and the cost of home heating has skyrocketed in the past decade. Installing vinyl siding can provide you with immediate energy savings. Your home is virtually wrapped in comfort, sealing out drafts and winter’s chill. Conversely, our area’s summer heat won’t seep into your home, robbing you of cool comfort, and spiking your cooling costs. Of course, vinyl is just one option when it comes to siding your home. Cedar siding and cement compound hardy plank siding are just two of the popular alternatives to vinyl. While both are attractive, they are slightly more maintenance-intensive than vinyl siding. Well-sealed siding means you can easily pressure wash to keep it clean, and, although both cedar and hardy plank are subject to fading and discoloration, they do keep their appeal for a few years before painting or staining is required. Adding new siding to your home also gives you the opportunity to spruce up in a few other areas. Dominion Roofing Co. specializes in exterior improvements, and we can also install new trim, update your eaves and soffits, and rakes. Why not improve your entire exterior, and gain additional insulating properties at the same time? Now that you know the many advantages to siding your home, why not contact Dominion Roofing Co. today for a free, no-obligation estimate for your siding project. Whether you need to replace your existing siding, or need the services of a skilled craftsman to repair damaged siding, you can trust Dominion Roofing Co. to get the job done right and right on time. Always affordable and always professional, contact Dominion Roofing Co. today to schedule an estimate for any of your home exterior needs. Simply fill out the contact form or call 301-942-2009 to schedule a no-obligation estimate!